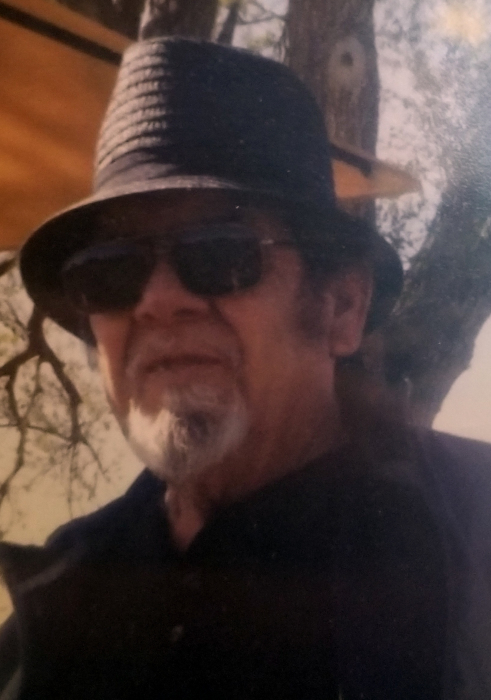 Ernesto Luna Cortez, 69, passed away Tuesday, January 15, 2019 in Lubbock. Services for Mr. Cortez will be 10:00 am Monday, January 21, 2019 at Calvillo Funeral Home with Rev. Juan Calderon Jr. officiating. Burial will follow in Peaceful Gardens Cemetery under the direction of Calvillo Funeral Home. Visitation will begin 1:00 pm Sunday, January 20, 2019 at Calvillo Funeral Home with a prayer service starting at 7:00 pm. Ernesto was born January 24, 1949 in Hondo to Marcelino & Cecilia Cortez. He married Paula Gutierrez on November 22, 1968 in Floydada and worked doing Gin Repair for various Gins in the area. He was a loving & caring husband and father who loved being with his family. He was hardworking and a born again Christian always making sure his family was taken care of. He enjoyed fishing, joking around and giving people he knew nick names unique to their relationship with Ernesto. He is survived by three sons, Adulfo Cortez & wife Evette, Ernesto Cortez Jr., Sammy Cortez all of Lubbock; one daughter, Becky Calderon & husband Rev. Juan Calderon Jr. of New Deal; one brother, Rojelio Cortez of Lubbock; four sisters, Eva Cisneros of Matador, Gloria Mendoza of Lubbock, Janie Cortez of Florida, Linda Castro of Plainview; thirteen grandchildren, eight great grandchildren. He is preceded in death by a son, Armando Cortez Sr. (1994), two brothers, Alejandro Cortez, Mario Cortez; two sisters, Yolanda Vega, Odelia Cabrera.